If you are using an Address Validation service for shipping labels, then you may occasionally run into character count limitations with the Address1 field. Whether you are using UPS, FedEx, ShipStation or any other shipping solution, most character limits tend to range between 30 or 35 characters (some even as low as 25 characters). While most addresses tend to be under this limit, there are always outliers that you’ll want your business solution to be ready to handle. If you are using a DOTS Address Validation solution, you are in luck! The response from our API not only validates and corrects bad addresses but also allows you to customize address lines to meet your business needs. Whether you are looking to have your address lines be under a certain limit, want to place apartment or unit information on a separate line, or customize the address line in some other way, we can show you how to integrate the Address Validation response from Service Objects’ API into your business logic. If you are worried about exceeding a certain character limit, you can programmatically check the Address1 line result from our service to see if it exceeds a particular limit. There are two obvious reasons you should check the result of the service instead of the input. First, you want to use validated and corrected addresses on your mailing label. Second, the input address may be too long before validating but post-validation, the corrected addressed could meet the requirements and no customizations are needed to fit within the character limitations. With this understanding, if the resulting validated street address in Address1 line is over the character limitation, then your application can go about splitting up the address in ways that best suit your needs. You may need to fine tune the logic in your business application from this basic algorithm, but this can help you get started with catering your validated address information to meet different character limitations. The examples above may require some fine-tuning to meet your business requirements but hopefully, they have also demonstrated the highly customizable nature of the address validation service and how it can be catered to meet your address validation needs. If you have any questions about different integrations into your particular application contact our support team at support@serviceobjects.com and we will gladly provide any support that we can! CASS stands for the Coding Accuracy Support System™. As the name implies, its function is to support address verification software vendors with a measurable standard for accuracy. It also represents a very high bar set by the US Postal Service to ensure that address verification meets very strict quality standards. DPV stands for Delivery Point Validation™. This is a further capability supported under CASS, making sure that an address is deliverable. You may ask, “If an address is accurate, why do we have to check to make sure it is also deliverable?” The answer lies in the broader definition of what an address is – a placeholder for a residence or business that could receive mail. Not every address is, in fact, deliverable: for example, 45 Elm Street might be someone’s residence, while 47 Elm Street might currently be a vacant lot – or not exist at all. Another example is multi-unit dwellings that share an address: 100 State Street, Apartment 4 may be deliverable, while 100 State Street, Apartment 5 may not exist. So you want to ensure addressability AND deliverability for every address within your contact database. Rigorous. CASS certification is truly the data quality equivalent of Navy SEAL training. The first step is an optional (Stage I) test that lets developers run a sample address file for testing and debugging purposes. Next is Stage II, a blind 150,000-address test that only returns scores from USPS, not results. To obtain CASS certification, these scores must meet strict passing criteria ranging between 98.5% and 100% in specific categories. Recurring. CASS certification is not a lifetime badge of honor. The USPS requires software providers to renew their certification every year, with a fresh round of testing required. Service Objects has not only been continuously CASS-certified for much of the past decade, but has also forged a unique partnership with USPS to update and refresh its CASS-certified address data every two weeks. Reliable. DPV capabilities are based on the master list of delivery points registered with the USPS, which stores actual deliverable addresses in the form of an 11-digit code, incorporating data such as address, unit, and ZIP+4 codes. While the codes themselves can (and do) change frequently, the real key in address deliverability is having up-to-date access to current USPS data. Service Objects licenses DPV tools as an integral part of its address validation capabilities. Our CASS-certified address engine and continuously updated USPS address data are two of the critical components behind our proprietary address database. Whether you run your addresses through our USPS address validation API in your application or use a convenient batch process, those addresses are instantly compared, validated, corrected, and/or appended to provide accurate results. If you’ve read this far, it is probably clear that CASS certification and DPV capabilities are critically important for managing your contact data quality. So be sure to partner with a vendor that maintains continuous CASS certification with full support of DPV. Like Service Objects, of course. Contact us to learn what we can do for your contact addresses and marketing leads today! Service Objects is committed to helping businesses reduce waste, and identify and improve operating efficiency through data quality excellence. And according to founder and CEO Geoff Grow, you can do this using databases up-to-the-minute USPS-certified data and more to verify your contact records. and append census, ZIP code and county boundary data. Can Google Maps be Used to Validate Addresses? In November of 2016, Google started rolling out updates to more clearly distinguish their Geocoding and Places APIs, both of which are a part of the Google Maps API suite. The Places API was introduced in March 2015 as a way for users to search for places in general and not just addresses. 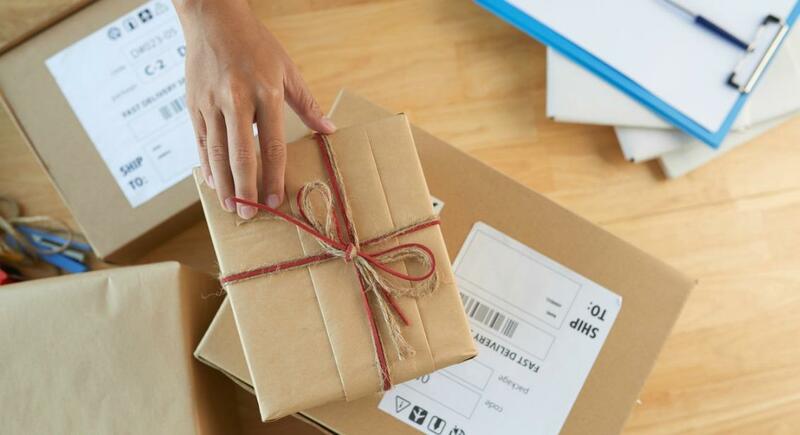 Until recently the Geocoding API functioned similarly to Places in that it also accepted incomplete and ambiguous queries to explore locations, but now it is focusing more on returning better geocoding matches for complete and unambiguous postal addresses. Do these changes mean that Google Maps and its Geocoding API can finally be used as an address validation service? No, it cannot. Now before I explain why, let’s first acknowledge why someone would think Google Maps can be used to validate addresses in the first place. 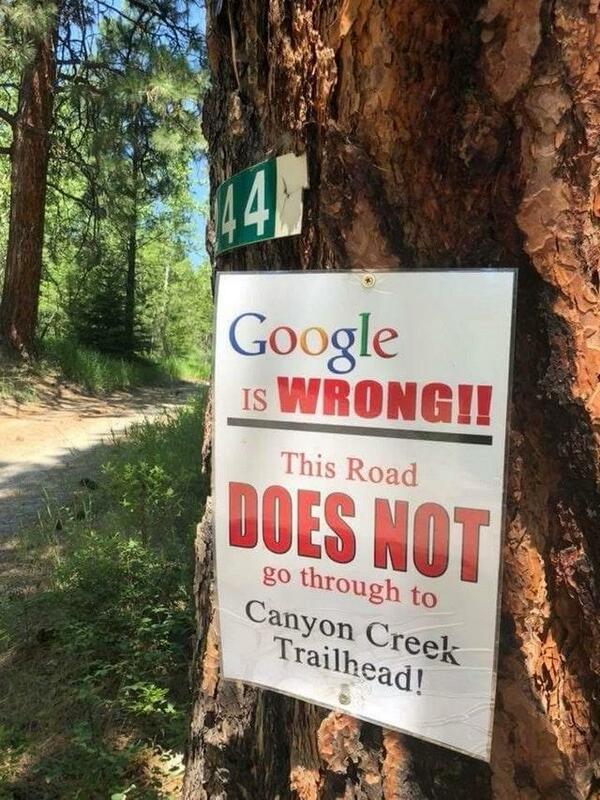 The idea starts with the simple argument that if an address can be found in Google Maps then it must exist. If it exists then it must be valid and therefore deliverable. However, this logic is flawed. One of the biggest problems many users overlook with Google Maps and the Geocoding API is that incomplete and/or ambiguous address queries lead to inaccurate and/or ambiguous results. It is common for users to believe that the address entered was correct and valid simply because Google returns a possible match. These users often ignore that the formatted address in the output may have changed significantly from what they had originally entered.The people over at Google Maps must have realized this too as the Geocoder API is now more prone to return ‘ZERO_RESULTS’ instead of a potentially inaccurate result. However, not all users are pleased with the recent changes. Some have noted that addresses that once returned matches in the Geocoding API no longer do so. Has the Geocoding API become stricter? Yes. Does Google Maps finally make use of address data from the actual postal authorities? Not likely. Google Maps does not verify if an address is deliverable. The primary purpose of the Geocoding API is to return coordinate information. At its best it can locate an individual residential home or a commercial building. Other times it is an address estimator. However, not all addresses are for single building locations. Apartment and unit numbers, suites, floors and PO boxes are typical examples of the type of address that the Google Maps Geocoding API was not intended to handle. They now recommend that those type of addresses be passed to the Places API instead, but not because the Places API can validate or verify those types of addresses. Again, none of the APIs in the Google Maps suite will verify addresses. No, it is because information like a unit number is currently superfluous when it comes to their roof-top level geo-coordinates. Google Maps does not need to know if an address is a multi-unit and/or multi-floored building in order to return a set of coordinates. Notice that the formatted address output value has dropped the suite number even though the address is valid. Let’s change the suite number from 500 to a suite number that does not exist, such as 900. We get back the exact same response, because they are both the same in the eyes of Google Maps. A similar thing happens if we try the same using the Google Maps web site. Notice that 900 remains in the address. 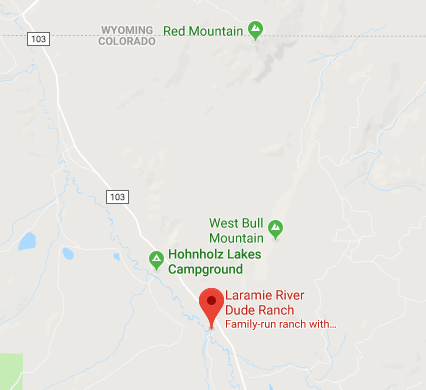 An unsuspecting user could easily mistake the Suite 900 address for being valid if they were simply relying on the Google Maps website, and its mistakes like these that often lead people to believe that an address may exist when it does not. Can it identify addresses marked for general delivery, areas where door step deliver-ability is not always available? Does it offer true Coding Accuracy Support System (CASS) certified Delivery Point Validation (DPV)? Can it identify PO Boxes, residential areas, incorrect house/building numbers? Is it able to detect if a valid address is vacant or returning mail? Even with the recent updates Google Maps is still no alternative for a dedicated address validation service and choosing not to use one could prove to be an expensive mistake. Last night I was having dinner with my wife’s friends and they asked what I did for a living. Normally I just brush those requests off and say ‘Internet Security’ or ‘Contact Validation’ and change the subject. But last night I said, “Service Objects validates contacts – we validate customers names, addresses, phone numbers, and email addresses for our clients.” I thought that was that; but the discussion lingered With questions like: How is that done? Can anyone validate addresses? Do you have an agreement with the Post Office? It was rather a lively discussion so I thought I’d rehash the highlights here. In the United States the Postal Service promotes good address hygiene through its Coding Accuracy Support Systems (CASS) initiative. It is in the best interest of the postal service to receive mail with valid, genuine, and accurate addresses. The less incorrectly addressed mail they get, the more efficient they become and the less waste for mailers; everybody wins. The CASS certification program is open to mailers, service bureaus, and software vendors that have lots of addresses and want to get discounts on their mailings. To receive mailing discounts and be “certified”, participants in the CASS program must renew their certification annually. Every year, the requirements for being a certified address provider get more difficult. For example: In August of 2007, the USPS required CASS participants to include delivery point validation (DPV) to verify whether or not an address is deliverable at the street/house/apartment level. CASS certification is the ultimate take-home test. The CASS certification test contains 150,000 bad addresses, extracted from real-world cases everywhere the postal service delivers, plus a few non-existent addresses thrown in for good fun. Test takers (like us) must evaluate and correct each address by fixing the ZIP code, the street address, the unit type, the bar code digits, etcetera. To be approved as a CASS certified vendor you must score above 98.5%; this means you can only miss 2,250 addresses in total. A passing grade is an A+ (geez). Although the USPS CASS program requires a mere 98.5% passing rate, real-world accuracy for address standardization is much higher. Why? For the purpose of rigorous testing, the USPS skews the CASS test towards unrealistic conditions, intentionally populating the test with 150,000 of the worst addresses you will ever see. Given normal conditions, real-world accuracy of a CASS certified provider exceeds 99.99%. In my decade of experience with address validation, I have seen only a small handful of real address we couldn’t validate. No sleep for the us though, the next set of 150,000 addresses for 2011 should be here at any time. I think my wife’s friends learned more about address validation than they ever wanted to know. I’m not sure I’ll get invited to dinner with them again any time soon. Well, they asked for it!